The International Convention on the Protection of the Rights of All Migrant Workers and Members of Their Families was adopted by resolution 45/158 of 18 December 1990 at the forty-fifth session of the General Assembly of the United Nations. The adoption of the Convention was an historic event for migrant workers and members of their families. It establishes, in certain areas, the principle of equality of treatment with nationals for all migrant workers and their families, regardless of their legal status. The Convention set forth, for the first time, internationally uniform definitions agreed upon by States for different categories of migrant workers. It also obliged sending, transit and receiving States parties to institute protective action on behalf of migrant workers and members of their families. Support among States for the ratification of the UN Migrant Workers Convention is faltering. It received 20 ratifications necessary for its entry in to force in 2003, 13 years after its adoption. To date, there are 47 ratifications, mostly by sending States, while receiving States are notably underrepresented. The extensive scope and systematic violations against the rights of migrant workers and members of their families continue unabated around the world. 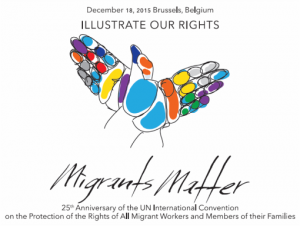 The UN Migrant Workers Convention has become even more relevant given the rampant rights abuses. The 25th anniversary of the Convention presents an opportunity for States to “step it up” and reinvigorate efforts for ratification. 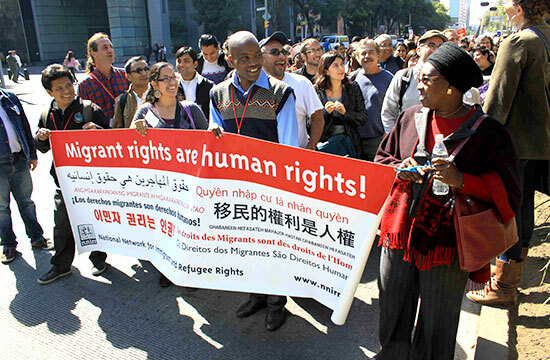 The global migrants’ rights movement stands by and fuels the advocacy to make it happen. On 18 December 2015, Legal Support for Children and Women (LSCW) and Migrant Forum in Asia with support from Migration and Development Civil Society Network (MADE) and European Commission organized a one day forum for CSOs on the protection of the rights of migrant workers in the context of labour migration. The forum was also organized to celebrate the 25th anniversary of the Convention of Migrant Workers and was attended by approximately 60 participants from NGOs, Trade Unions, Students, Recruitment agencies and migrant workers in Cambodia. The forum aims to increase awareness on the UN Convention 1990 on The Protection The Rights Of Migrant Workers And Members Of Their Families, the ILO Convention On Migrant Worker, and the ASEAN Declaration on The Promotion And Protection The Right Of Migrant Workers. It also aims to understanding existing mechanisms that protect the right of Cambodian migrant workers,and to foster collaboration and cooperation among CSOs, Trade Unions, Government Agencies and other stakeholders in protecting the rights of Cambodian migrant workers in the context of labour migration. 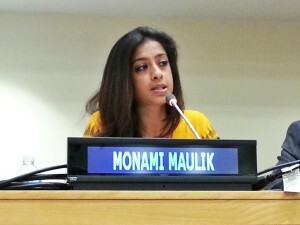 On 8th September 2015, a half-day panel discussion with the UN Committee on the Protection of the Rights of All Migrant Workers and Members of Their Families (the Committee) will take place at the Palais des Nations in Geneva, Switzerland to mark the 25th anniversary of the adoption of the General Assembly of the International Convention on the Protection of the Rights of All Migrant Workers and Members of Their Families. Through the years, the Convention has been helpful in preventing abuses and addressing challenges that migrant workers undergo. It also has provided guidance on the elaboration of national migration policies for international co-operation based on respect for human rights and rule of law. Various speakers from different human rights organizations are invited to share their expertise and identify areas where migrant workers’ protection is of urgency, to highlight the challenges of States and the international community, and to promote a deeper understanding of this multi-faceted phenomenon which calls for a variety of responses. The three- hour discussion with the sub theme, Current Challenges in protecting the human rights of migrant workers: irregular migration flows in the Mediterranean, migrant workers in the Gulf, and undocumented children in the Americas is organized by the Committee on Migrant Workers and the Office of the High Commissioner with the support of the Friedrich Ebert Stiftung. Please find below the program and background note. 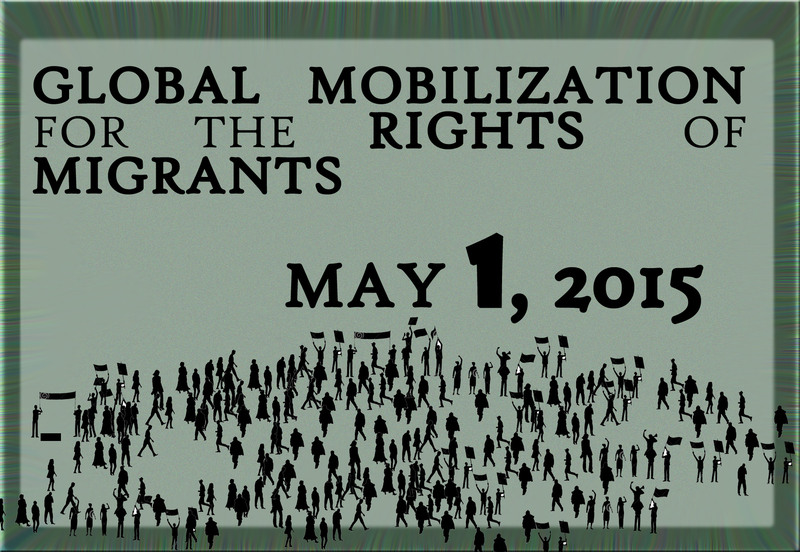 I am grateful for the opportunity to share with you my growing alarm at the international community's failure to protect the rights of migrants. As I have repeatedly highlighted at this Council, conflict, persecution, bad governance and severe violations of civil, political, economic, social and cultural rights force millions of people to leave their countries and seek safety and opportunity elsewhere. Too often, they are met with more exploitation, discrimination and violence, coupled with harshly enforced refusals to permit entry. Whether or not they have visas, these are people, with the same human rights as all of us here today. They have faces: young and old, women and men, and children – accompanied or, in many cases, separated from their parents. They flee atrocities; biting poverty; places with no access to even basic services, and where the rule of law is broken. I am shocked and shamed by the frequent demonization of migrants that we see in many countries whose people benefit from prosperity, peace and ease. I call on all of you to take a stand against this very dangerous trend. As we approach the 25th anniversary of the adoption of the ICMW by the UN General Assembly, Migrants Matter is calling on the EU Commissioner for Migration, Home Affairs and Citizenship, Dimitris Avramopoulos, to support ratification by EU Member States of this core international human rights instrument. While ratification is a matter for each individual State, the EU has shared competence with its Member States in the field of asylum and migration. This means that explicit support for ratification from the Commission is a key element in moving towards ratification. The Commission called in 2014 for Member States to ratify the ILO Domestic Workers Convention. It should do the same for the ICMW, one of the ten core international human rights instruments, and the only one of the ten not yet ratified by any of the 28 EU Member States. GENEVA (16 April 2015) – The latest loss of life in the Mediterranean Sea highlights the absolute need for European Union member states, as well as other states that are major destinations for migrants, to adopt a new approach to migration that places the rights of migrants at the forefront, the UN Committee on the Rights of Migrant Workers (CMW) has said. “States of origin, destination and transit must also address the root causes that lead to smuggling and trafficking in persons,” the Committee said in a statement. 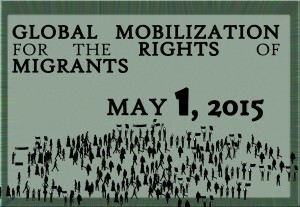 The Step It Up Campaign invites you to join a global mobilization to support the rights of migrants on 1 May 2015, in the context of the celebration of the 25th anniversary of the Convention for the Protection of the Rights of All Migrant Workers and Members of Their Families. Read the May Day Statements released by the Step It Up campaign partners and supporters here. Every year on May 1st, workers around the world celebrate the history of the labour movement and mobilize around the world to call on States to fulfill their obligations to protect and promote the labour and human rights of all workers. 1 To put in place the legal foundation essential for national migration policy to regulate labour migration and ensure social cohesion. 2 To uphold and strengthen the rule of law by ensuring that legal norms define the basis of labour migration policy, its implementation, and its supervision. In this 2009 paper published by December18 and written by Ms. Mariette Grange, the main features of the UN Migrant Workers Convention is examined in relation to the Middle East, and illustrates the use of the Convention to protect migrant workers in the States in the region that have ratified it - and even in States that have not ratified it when its provisions are invoked by independent investigation mechanisms. Six years since its publication, the analysis and conclusions provided in this paper still resonates today.